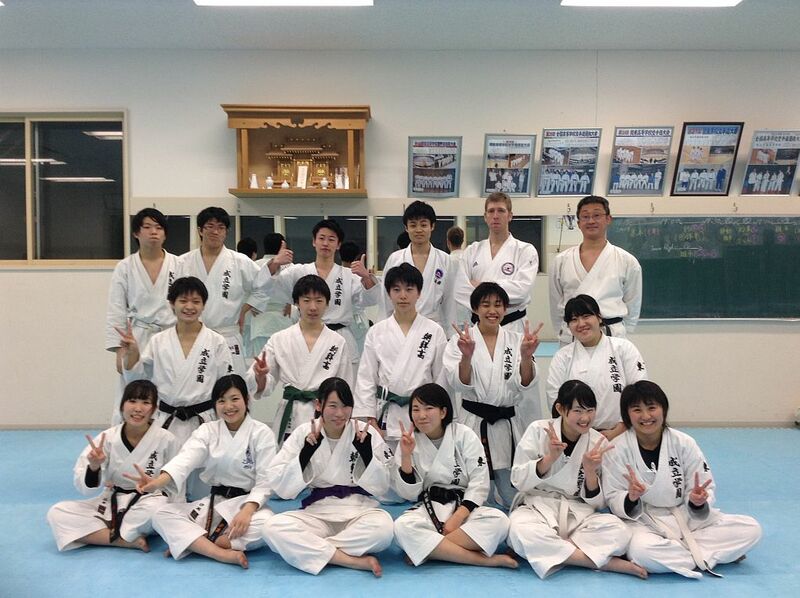 Seiritsu International Education: Chosen High School karate club works out with Seiritsu! Chosen High School karate club works out with Seiritsu! On Thursday February 19 three students from the nearby Korean school Chousen High School came with their karate coach Pak sensei to get a workout with Seiritsu's karate club! Usually in Japan, school sports clubs organise friendly matches, called "renshuu jiai", to help their members get valuable experience outside of official events, and to keep good relationships with other schools. Although in this case we didn't actually have a proper bout practice, both Seiritsu and Chosen students certainly benefited from training with new people. Thanks very much to Chousen High School for coming, and we are looking forward to training together again soon!